VeeNat (Imatinib) is a product of Natco pharma Ltd.it comes in 100 mg and 400 mg in form of capsules. 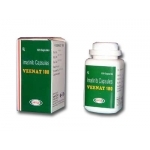 VeeNat (Imatinib) interferes with the growth of some cancer cells. VeeNat (Imatinib) is used to treat a type of blood cancer called Philadelphia chromosome positive chronic myeloid leukemia (CML). It is also used to treat certain tumors of the stomach and digestive system. VeeNat (Imatinib) may also be used for other purposes not listed in this medication guide. Do not use VeeNat (Imatinib) without telling your doctor if you are pregnant. It could cause harm to the unborn baby. Use an effective form of birth control, and tell your doctor if you become pregnant during treatment. Before using VeeNat (Imatinib), tell your doctor if you are allergic to any drugs, or if you have liver disease, kidney disease, congestive heart failure, a history of stomach ulcer or bleeding or if you are receiving chemotherapy. Take this medicine with a large glass of water. VeeNat (Imatinib) should be taken with a meal. Do not take the medicine on an empty stomach. To be sure VeeNat (Imatinib) is not causing harmful effects, your blood will need to be tested on a regular basis. Your liver function may also need to be tested. Do not miss any scheduled appointments. Do not use VeeNat (Imatinib) if you are allergic to imatinib. If you have any of these conditions, you may need a dose adjustment or special tests to safely take VeeNat (Imatinib). FDA pregnancy category D. VeeNat (Imatinib) can cause harm to an unborn baby. Do not use this medication without telling your doctor if you are pregnant. Tell your doctor if you become pregnant during treatment. Use an effective form of birth control while you are using VeeNat (Imatinib). It is not known whether imatinib passes into breast milk or if it could harm a nursing baby. Do not use VeeNat (Imatinib) without telling your doctor if you are breast-feeding a baby. Do not give this medication to anyone younger than 18 years old without a doctor's advice. How should I take VeeNat (Imatinib)? 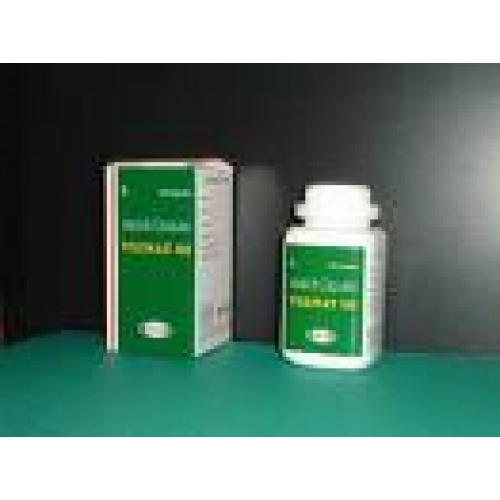 Take VeeNat (Imatinib) exactly as it was prescribed for you. Do not take the medication in larger amounts, or take it for longer than recommended by your doctor. Follow the directions on your prescription label. Take this medicine with a large glass of water. VeeNat (Imatinib) should be taken with a meal. Store VeeNat (Imatinib) at room temperature away from moisture and heat. Take the missed dose as soon as you remember, making sure you also eat a meal and drink a large glass of water. If it is almost time for your next meal, skip the missed dose and take the medicine when you eat your next meal. Do not take extra medicine to make up the missed dose. Overdose symptoms may include severe muscle cramps. What should I avoid while taking VeeNat (Imatinib)? Do not take VeeNat (Imatinib) on an empty stomach. What other drugs will affect VeeNat (Imatinib)? cholesterol-lowering medicines such as lovastatin (Mevacor), simvastatin (Zocor), pravastatin (Pravachol), fluvastatin (Lescol) or atorvastatin (Lipitor). This list is not complete and there may be other drugs that can interact VeeNat (Imatinib). Tell your doctor about all the prescription and over-the-counter medications you use. This includes vitamins, minerals, herbal products, and drugs prescribed by other doctors. Do not start using a new medication without telling your doctor. Your pharmacist can provide more information about VeeNat (Imatinib). Remember, keep this and all other medicines out of the reach of children, never share your medicines with others, and use VeeNat (Imatinib) only for the indication prescribed.